Sally, thank you for the delivering the most beautiful ceremony we could ever have hoped for. 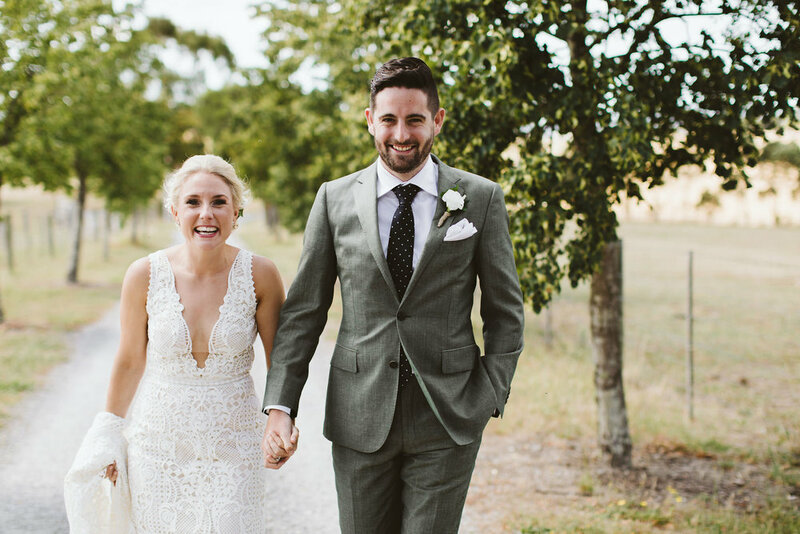 In the lead up to the wedding, the ceremony was the part Dave and I were most looking forward to, as we knew from that first meeting that your style matched our vision of a personal, intimate and entertaining ceremony that involved all of our guests. Thank you, thank you, thank you! Thanks again for the incredible wedding ceremony you conducted for us. It was absolutely perfect and our guests have commented again and again on how unique, interesting and joyful it was. Despite the nerves we loved every second! It is all over, what an amazing ceremony, all thanks to you. You seriously were beyond fantastic, not only on Saturday but throughout the whole process. We really appreciated your constant understanding and guidance. You truly made our wedding day all that more special and unforgettable. People could not stop talking about how fantastic you were. We truly are so grateful and thankful and can't put into words how happy we were on Saturday. Our ceremony was always the most important part of our wedding planning...and when we asked you to marry us, we knew everything would be perfect! But we were wrong. Sally you weren't perfect; you were so much more than that. You were genuine and heartfelt and you earned trust from our guests in the opening few moments. You were real. They hung off your every word and cried and laughed like we've never witnessed them do before. These moments on the steps of Campbell Point House will forever be buried deep inside us...and we have you to thank. Despite the nervous energy, we've never felt more comfortable. We were just "BA and DF", albeit a little more glam than usual! Thank you from the bottom of our hearts! Thank you so much for making our ceremony such an amazing and memorable experience Sal. You perfectly captured our relationship and gave our ceremony such a personal touch. We feel so incredibly lucky to have been married by you…. You are truly amazing and we cannot speak highly enough of you. We honestly cannot thank you enough and are still beaming from ear to ear about how amazing the day turned out. We had so many guests rave about you!! We all agreed that you are an amazing storyteller and created such a seamless ceremony. I thought I would be rather anxious on the day but how could I when you had everything under control. I just watched a video of the ceremony and saw that you even stopped my Dad from tripping over my veil. Nice work! Another thing to mention, guests kept complimenting us on memorising our vows! Great job on making us look clever ;) We think you are amazing and definitely deserve to be recognised for your talent. Thank you for creating such a fun and polished ceremony! Dear Sally, AKA best Celebrant in the world! ....You made the biggest impression on our day and the comments are still flowing from our guests that you were such a breath of fresh air and how inspiring it was to be there. I knew that from our first email that you would be amazing, but of course you exceeded all of that and beyond. Thank you for being so warm and kind… for being so kind to all our guests and our special speakers - my Mum and Dad adored you… they were enthralled in the day and so much because of your presence and what a personal ceremony we were able to have. Thank you for all your generous ideas and for going with what we wanted from the beginning - I really do feel like you have this amazing ability to connect with all your couples and make them feel so very special. I know that's how you made us feel and I have no doubt everyone else feels the same…. Thank you so much for everything Sally! We loved the ceremony you performed for us, it was exactly what we wanted. We even had a number of guests tell us that you were the best celebrant they have ever seen. …We cannot say a bad word about your service, it was fantastic. Thank you again for everything. You really did help make our day special. Thank you so much for a perfect ceremony, you were the most wonderful celebrant EVER. Thank you so much for your tremendous effort on our wedding day, we received so many compliments about your role and what a fantastic job you did... Sal you are such a beautiful person inside and out, we are so glad that you were a part of our day. You are extremely organised, professional and very caring. We will be recommending your services to anyone we know getting married. Ash and I were absolutely delighted with your work. Your professionalism and enthusiasm for our ceremony was evident throughout and we couldn't have been happier. Guests were saying things like "best ceremony I've ever witnessed", etc. so I think that really speaks for itself. Hi Sally. We both loved your ceremony, everything was done so well. Neither of us can fault your service and you were completely professional throughout the whole process from first meeting til completion. Thank you again for all your help and services, we will definitely recommend you to any friends or family in the future. Sally, we are so pleased and privileged to have had you as our celebrant. Since seeing you conduct Shannon and Brad's wedding we knew we had to look no further. Our meetings were a pleasure, with you taking the time to understand us as a couple and providing useful insight to help us make decisions. Your organisation and experience in proceedings behind the scenes was also evident. Our ceremony was "very us" just as requested, full of laughter yet meaningful. We have received countless compliments for yourself and our ceremony, and guests haven't hesitated in saying "the best" they've seen - we couldn't agree more. As soon as we hear of the next engagement we'll be recommending you in a heart beat. We've just received our photos and our ceremony was full of smiles and laughter……. Thank you. Thanks so much Sally. You did a sensational job last night and helped us achieve exactly what we wanted from our ceremony. Thanks again for being a wonderful part of it all.… we had so many great comments about you and we have been recommending you to all our bride and groom-to-be friends! Keep in touch Sally. Thanks again. Hi Sally! Thanks again for everything you did to make our big day special. It all went so smoothly and everyone commented on what a great job you did and how professional you were. We were so happy with the ceremony and how personalised it was and also very relaxed which was exactly what we wanted... Our sisters also loved you so you may be expecting a call from them in a few years for their weddings! Thanks so much again. Sally, the first time we met with you we knew we wanted you to be our celebrant at our wedding. Your passion and professionalism toward our special day shined through immediately! Your ability to capture 'our story' and portray it so beautifully and sentimentally in the ceremony amazed not only us but all of our guests, which we continued to hear compliments about for weeks after our wedding. You managed to calm both of our nerves in the lead up to the big day as well as during the ceremony by putting us at ease. This allowed us to focus on each other, relax, and really enjoy the ceremony itself. The only thing we would change about our wedding would be to include you as a guest at our reception. Thank you. Sal, you're the best celebrant ever…. Greg and I really can't thank you enough. You performed the most perfect ceremony and I have had so many wonderful comments from family and friends about the amazing 'feel' you helped to create. Hi Sal I really want to thank you for making our day so special. Words alone cannot express how absolutely amazing the service was and how your efforts will truly make it a day to remember forever. The service reflected Tom and I perfectly in every aspect, and all of the guests have since continued to inform us both how much they loved our service. You truly went above all of our expectations even down to your inclusions of humour and suggestions for the time capsule and celebration drink are what made the day so special. Once again thank you so much. Such a wonderful person you are Sal! The time you take in getting to know a couple proves and shows this is no job. We could ask for no better person to marry us. Thank you Sally for such a wonderful ceremony, it was everything that we wanted. Not only did the weather Gods shine on us, we were given the best celebrant a couple could ask for. Thank you for all your support and kind words leading up to our wedding and your kind words at our wedding. Thank you for your time and effort in putting together a beautiful vow renewal ceremony for us Sal. You gave us exactly what we wanted – a ceremony that wasn’t too formal or too casual, enjoyable yet sincere. We loved it! You have a true gift for creating special moments in people's lives. Hi Sally, Thank-you so much for conducting the ceremony for us yesterday. You were a sensational hit not only with us but our and everyone agreed that your style and approach are just wonderful. I have a couple of guests eager to get your details - so I will pass those on to them. ...A sincere thanks for your time and effort. We certainly felt that you went above and beyond for us and we simply cannot thank-you enough. What a journey this has been! And we're so happy you've been a part of it. Sally, thank you for making our ceremony! It felt so personal and really was about us. You did such a great job of including our crazy stories and making the ceremony meaningful and intimate. Apparently there was not a dry eye in the house (ie Lake). We had so many positive comments from guests about the ceremony. I had one of my friends say they felt they got to know more about Gary and us as a couple. We really appreciated you travelling all the way to Daylesford for our day. It was completely effortless to organise and your calm presence helped with the nerves. I would not hesitate in recommending you to friends getting married and already have. We had the most amazing day and so glad you were part of it. Sal, you were PERFECT! From the moment of meeting you, we knew you were the perfect person to be the celebrant for our wedding. You knew everything about the whole process which made us feel very relaxed and at ease, and reminded us about important deadlines. Your ideas were great, help with the music selection, and patience when we were back and forwarding versions of the vows were also much appreciated. You were extremely professional, but also so much fun to be around and made us laugh so much. You looked absolutely stunning on the day, spoke beautifully, and were a very calming influence on a very emotional bride! ...Sal, you were absolutely exceptional. We had such a beautiful, moving day.... You are an absolute treasure, with an amazing personality and soul. Thank you from the bottom of our hearts. We want to say a huge thank you for our absolutely perfect wedding ceremony. You made the whole process so lovely and you certainly impressed our guests! We had so many people tell us how amazing and personal the ceremony was. We think the best man said it best when he told us that you have this warm and funny nature that just makes everyone feel so comfortable that they can really enjoy themselves. Ee-Wei and I would like to thank you for being our celebrant. We knew we made the right choice when we met you. We've had comments on how great the ceremony was :) It's been a long and wonderful journey. We'd just like to thank you Sally for giving us the most memorable ceremony on our wedding day. You were perfect on the day (and leading up to it) and all our guests were commenting on how beautiful and personal the ceremony was. You made us feel comfortable at all times and supported us when needed. I'll definitely recommend you to any future brides and grooms. Thanks Sally!!! Thank you for making our ceremony so amazing (I know we made it hard by not giving you much to work with!) but it was perfect for us. Honestly we can't thank you enough and we are recommending you to everyone! Hi Sal, Thank you so much for making our day so special, it was perfect! Everyone commented to us how amazing you were and I'd hate too think how much more nervous Ian would have been if you hadn't been there to ease his nerves... Thanks again for everything. We just had the best day ever, thanks in no small part to your masterful setting the scene and general excellence. EVERYBODY was complimenting your celebrant prowess. When we first saw you officiate at our friend’s wedding we were amazed at how great the ceremony was and we knew that we had to poach you for ourselves! ... We loved your enthusiasm and the way you made the whole process seem like fun, rather than yet another thing to cross off the list in the lead up to the wedding. We loved your ideas and creativity and that your experience in the job meant that you could give us advice on what to do and what not to do during the ceremony. So many people commented on how personalised the ceremony was and what a great job you did and we couldn’t agree more. We really appreciate all the extra little things you did.... Thank you for being such an easy person to work with, so friendly and professional and for making our wedding day so special." Dear Sally. Thank you so much for being such a wonderful celebrant for us! We both felt so comfortable with you and the ceremony was really personal and meaningful – better than we ever imagined. Our friends and family commented on the ceremony, saying it was the most moving ceremony they had ever been to, that it reflected us and our relationship perfectly, or that it was the first ceremony they’d been to that kept their attention throughout! Everyone said they could hear it all loud and clear, and even our families in the front row thought we had memorised our vows at first, since they could hear us but not you prompting us. It couldn’t have been better! Thanks for being a pleasure to work with and for working so well with our last minute decisions and changes and still making our ceremony exactly what we wanted it to be!" Hi Sal …People raved about you after the wedding….I have no doubt we will see you again as many of our friends loved you and have said they would get onto you when the time came… Glenn and I send you our love and thanks. Hi Sally. Thank you so much for everything that you have done for us. Our ceremony was everything and more that we had hoped and dreamed it would be and it is all because of you!! :) We really can't thank you enough. We had so many comments from our guests about how wonderful you were. Hi Sally, First of all thanks so much for being a part of our special day and we are glad that you were honoured to be a part of it on such short notice. The day for us was perfect and exactly what we wanted under the circumstances. We think it was a beautiful ceremony and your words were an exact reflection of our relationship and our values. Everyone has said how much they enjoyed the ceremony and that is a testament to your professionalism… …We cannot thank you enough for putting together an amazing ceremony!! Thank you again Sally. Sal, thank you so much for making our wedding so special. We have had so many people comment on how wonderful the ceremony was. You spoke so beautifully and your humour was a highlight for Johnny and I. We will highly recommend you to all our friends and family. Sally ..Your organisation, friendly persona and presentation were second to none. Your ability to grasp our personalities and transform that into a ceremony that reflected us was impressive... The number of comments received regarding our ceremony was extremely complimentary and positive towards you as a celebrant and the overall ceremony itself. The relaxed and casual atmosphere that you helped to create was exactly what we were after and exceeded beyond our high expectations. ...Rich had been a ball of nerves all day and to his amazement they left only when the ceremony began..he puts this down to your calming presence at the start of the ceremony... I had always thought of the ceremony as just one of the formalities we had to endure within the evening. To my surprise I became so engrossed in the ceremony and the moment I was not ready for it to end. We could not have asked for a better celebrant and we thank you for your professionalism and friendship throughout this enjoyable occasion. You have certainly found your calling in life. Sally Hughes, the 'super celebrant', thank-you for an amazing experience, our families haven't stopped talking about how amazing you were! Sal, saying thank you doesn't seem enough. We were both beyond ecstatic with our ceremony, it was perfect for us and we are so grateful to you. We have had so many people comment on how fantastic and personal our ceremony was and how amazing you were...you are definitely in the right job for you! It has been an absolute pleasure working with you and I will be recommending you to all our friend. Hi Sal. Thank you so, so much for conducting our ceremony yesterday! It was such a perfect day and everything we could have hoped for. The whole family has been on a high all day today. Also, we received many comments from family and friends about how fantastic you were. You made everyone feel involved and made our wedding unique and engaging. You have been fantastic to deal with, professional, organised and warm, and made the planning process smooth and the ceremony perfect. Thank you again. Hi Sally. A huge thank you for conducting such a lovely service for our wedding. By far, the two most common comments on our night were how much people loved the venue and what a fabulous job you did for our ceremony (and what are your contact details!!!). Hi Sal. Thank you so much (again) for the brilliant, fantastic and wonderful magic you weaved with our ceremony. We had an amazing time and loved the ceremony so much. We couldn't have chosen a better person to conduct our ceremony. We had so many comments from guests saying how wonderful you were. 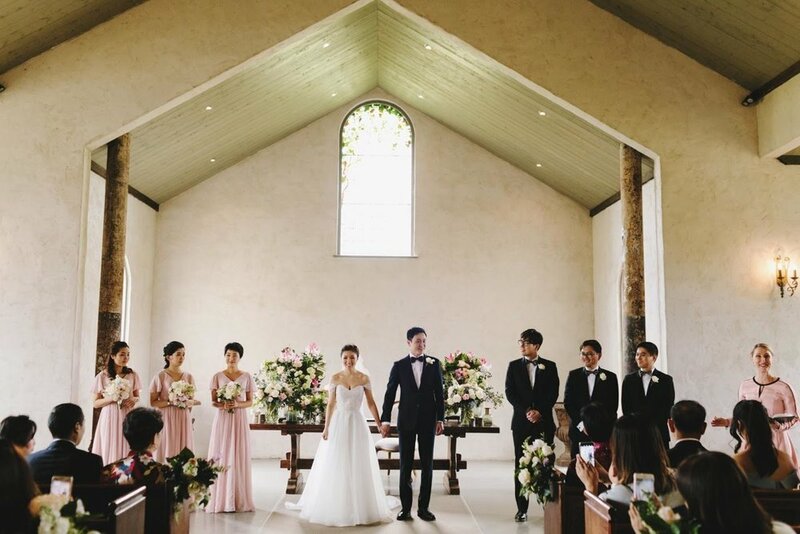 We feel so privileged that you were our celebrant and shared our special day with us. To our beautiful Celebrant Sally, thank you for making our big day so special! Thank you for making it fun and easy and for taking on our eccentricities and refining them so that we looked like we are funny. We had so many people tell us how lovely the ceremony was and how lovely they thought you were. Thank you again you gorgeous lady. Hi Sal. You were truly amazing at our wedding and we cannot thank you enough! Our ceremony was absolutely beautiful, and thank you for making it so. It was also beautiful to read about our day on your Facebook page - you have a beautiful way with words... Thank you so much again. Lots of love from Thailand! From the moment we first met Sally we knew we were meeting a celebrant who was switched on. Sally was the ultimate professional and was able to deliver the ceremony we always had envisaged when we got engaged. She nailed our brief of the ceremony being “relaxed & fun” as well as providing us with moments of the day we will always remember. Our guests have since commented on what a unique and interesting ceremony it was and no-one had ever seen one like it. We look back on the ceremony with smiles on our faces and will always remember the happy tears and laughter that Sally was able to provide us. Hi Sal. 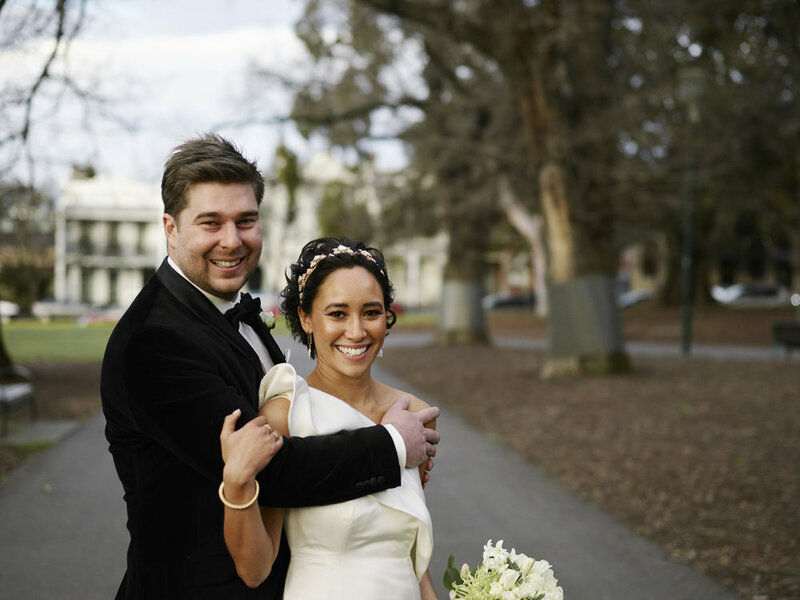 You did such an amazing job Sal we are so lucky to have had you as our celebrant you were just perfect you really captured our personalities and what we wanted for our ceremony without any direction! We have had non-stop comments about how lovely you are and already had requests for your number which is great!! From our first meeting we were so relaxed with you - you felt immediately like an old friend, we are both so grateful to you Sal! Really we could not be happier it was such a special day we both had the most amazing time. Thank you, you are so lovely!!! Wishing you all the best Sal. Hello Sal. One month ago today you shared with Vuka and I our most special, treasured and memorable day. Thank you from the bottom of our hearts. Our wedding was the best day of our lives. Let’s begin by saying, "You were sensational!" The amount of comments afterwards on how great you were as a celebrant is an understatement. Guests had asked if you were affiliated with Crown and a part of their exceptional service, that you were so positive and so beautiful, that they would recommend you to anyone, the list goes on. Hey Sal! It was such a pleasure to have met you, you made our day so perfect - we will always have the fondest memories of times shared with you. It really was our honour having you as our celebrant. We wanted to let you know how many lovely compliments we had from family and friends about the ceremony - as we are catching up with people, The Dome and you were hot topics! …. .... The whole ceremony was just beautiful and sincere, and you played such a crucial part. We couldn't have done it without you. Your guidance and calmness prior to and during the ceremony was exactly what we needed - you kept our euphoria in check. Well, at least for that 30 minutes in the chapel! ....And even at the reception and at our post-wedding breakfast the next day, we had guests raving about what a brilliant ceremony it was. Guests loved hearing our story as it made them feel like they were part of our journey, our little fairy tale. So to you Sal, our super celebrant, thank for being part of our day. Thank you for all your efforts in making it such personal and thoughtful experience that we could share with all our loved ones. And thank you for all of your warmth and energy. You helped to kick off our perfect day, which continued well into that night and will be followed by an eternity of love, laughs, happiness and cupcakes! I can feel it in my happy feet! Many thanks again, Sal. We cannot sing your praises enough. Hopefully our paths cross again soon! It's been such a pleasure. It was an absolute delight to have Sally conduct our wedding ceremony. It far exceeded any expectations we had. It was definitely the highlight of the night, as it should be. From our very first meeting, she was warm, friendly, helpful and extremely professional. She went above and beyond in everything she did for us. Her guidance and general wedding advice in the lead up made our wedding planning so much more relaxed than we anticipated. On the day, she was so organised and happy that she immediately made everybody feel calm. Sally's moving and personal delivery of our story was the highlight of the evening for us and for our guests. She was impeccably presented, classy and spoke with genuine emotion and enthusiasm where appropriate. Everybody in the room was impressed by her ability to get lots of laughs and to create such an emotional, memorable experience. We couldn't have been happier with Sally! Sally, Thank you again for the absolutely wonderful job you did. We couldn't be more delighted with how the day turned out. The energy in the room really was fantastic, wasn't it?! We didn't realise how much this would set the tone for the whole evening. My Maid of Honour texted to me- 'It was all just so personal, funny and moving'. I strongly believe that you personally played a massive role in creating the right feel for our entire day. Thanks again and we wish you all the best for your stellar career. We just wanted to express our deepest thanks, to you. I can't imagine our ceremony being anything like our vision with someone else - and we were delighted to listen to you tell our story and read our words to our family and friends. Our guests had nothing but high praise for the style/feel and your manner, so again, we just loved having you a part of our day. Words cannot begin to express our gratitude for the most perfect celebration of marriage on Saturday. You did an incredible job! We think some of our aunties will try to convince their husbands to remarry with you as their celebrant! Also, thanks for being a champ with the Johnny Walker! I look forward to the vision! Sal, we can't thank you enough for being our celebrant. Everyone we have spoken to about the wedding talks about you. They say how fun and engaging you were. They mentioned how they had been to 'stuffy' weddings before and this was definitely not one of them! You have such a way with words, everyone was excited to see what was to come next. Everyone said they loved being included in the ceremony, you involved them in ways they’d never seen before. We have told all our engaged friends about you and we can't recommend you enough! Again, thank you! Hi Sal! We just wanted to say a massive thank you for EVERYTHING!!! You were so amazing throughout the whole process and the ceremony was absolutely perfect. We could not be happier!! Sally, We've lost count of the number of compliments we received about you. Thanks so much! Andy and I can’t begin to tell you how much the wonderful ceremony you created meant to us. We were so happy with everything (as you could see from our HUGE grins on the day!) and couldn’t have asked for more. The ceremony will forever be a brilliant memory in our minds and we can’t thank you enough for that. Our guests commented that it was like no other ceremony they had experienced before, and like we were hoping, everyone felt engaged! Sal, we just want to thank you again for being a big part of our special day. Words can't express how grateful we are to have had you conducting our wedding ceremony. It was just so precious…. You truly are one of a kind and honestly the very best!! Thank you for the beautiful ceremony! We loved every second of it and our guests were super impressed and complimentary (our friends getting married in November were googling you during the signing, if that says anything!!). We had a lot of guests comment that it was a perfect ceremony - most people know us to be pretty silly and lighthearted, and the ceremony perfectly captured that without being too dry or saccharine. For us, it was awesome having a ceremony that was so personal to us, yet still reflective of our inherent silliness…. …Thanks once again for your hard work! I'll definitely be directing any engaged couples your way! Vivek and I were delighted with your involvement - and everyone (all our guests) commented on how great you were! Again, our sincerest thanks for being a wonderful celebrant who captured our story so perfectly and told it with humour, love and sensitivity - it was a magical ceremony and day! Meeting Sally was the first part of the wedding I organised, and thank God I did! Because without her, I wouldn't have known what to do. She had wonderful suggestions for ceremonies - from the very traditional to the completely non traditional. She was confident that she could cater to whatever ceremony we wished to have and she was completely right. Sally delivered a beautiful ceremony with laughter and tears. Sally was always available to talk, always happy to answer any questions and always there with a friendly smile and wonderful advice. I can honestly say she was the definition of brilliant. I wish I could just tell everyone who gets married to pick Sally! When we meet with brides and grooms, my first recommendation has nothing at all to do with the services offered by The Three Piece Suit. Instead, I like to provide advice about finding a celebrant who speaks to the heart...and there isn't anyone who does that quite like Sally Hughes. Sally is the most remarkable and memorable of story tellers and is able to engage an audience like no other. Her words are spoken with indescribable sincerity and joy and she is able to set the most idyllic of scenes during what is the most important part of the day (or so I believe). . It's very special to work alongside you Sally - because even during your sound check, the sound of your voice brings back special memories of the day you officially announced me as a wife! We knew we had the perfect celebrant for our wedding as soon as we met Sally. We never felt stressed at any point during our wedding planning. Our ceremony was just as we wanted with a touch of tradition. It felt smooth and natural. We received many compliments from our family and guests. Sally made the day magical! She's the Celebrant you want for your day! We can't express how thankful we are for the beautiful ceremony you conducted for us. The ceremony was the highlight of the day for many of our guests!! It started us out on such a happy and joyful foot, and that is because of the way you captivated our guests. We knew since meeting you that you would be a wonderful celebrant, but you actually went above and beyond our expectations. You made the whole process so enjoyable. Sally, from the bottom of our hearts it was a truly magically day! All of our guests commented how amazing the ceremony was and how fabulous you were!!!! It genuinely makes us sad that we no longer have our meetings with you to look forward to!!! We couldn’t have asked for anything more perfect, you captured everything we wanted and more, so truly thank you!!!! Sal, thank you, in every way, for your incredible service! We loved every minute of it, and as you have heard on many occasions, it was the best ceremony our guests have been a part of. Everyone we speak to always mentions you and what a fabulous ceremony it was. Thank you for just being fabulous! We couldn't have hoped for a more perfect day!! Sal, we cannot thank you enough for everything that you have done. We received such positive feedback about the ceremony, especially our fabulous celebrant! Thank you for all of your efforts pre, during and post ceremony. From our first encounter you have made us feel extra special and like we were your only/first clients (not your prob 1000th :). We have received so many comments from family and friends about the ceremony - you were so fantastic!! We truly appreciate it - thank you! Sally, we had an amazing day and we very much loved our ceremony. You are a wonderful storyteller and inject a lot of humour. You absolutely nailed it as a fun, loving and inclusive ceremony. We loved having everyone involved. We also felt so much more relaxed having you to guide us through it. We have passed your details on to a few couples who we hope will be in touch with you soon. Sal, you were amazing! We couldn't be happier to have you marry us! We had the best day and your kind words made the ceremony. We are so glad Belinda [from The Three Piece Suit] recommended you to be our celebrant, you were amazing! Our guests also mentioned how good you were! You were a crowd favourite. Thank you! We really can't thank you enough for how wonderful you were on the day and throughout the whole journey leading up to it. Many of the guests commented on your flawlessness on the day and how your suggestions added a unique memorable twist. Many guests commented that it was the best ceremony they had been to. We are so glad that we found you.... the perfect marriage celebrant! ... You actively listened to what we wanted and then ensured that the ceremony accurately represented us. You captured all that we wanted and made it that much more meaningful for us as well as our guests. To this day, people are still in awe of the way you conducted the ceremony. All the very best Sally, thanks again for everything, it was such a magnificent day-made that much better by YOU! Sally, thank you for all of your support and for composing the most amazing wedding ceremony. You definitely captured the essence of what is 'us' and we have heard so many lovely words from our guests about how beautiful the ceremony was. Sally, Sally, Sally.. We were thrilled with your work! All of it. We were sure to mention you in our Thank You’s at the reception later, and you got a rousing response. A number of people also went out of their way to approach us and comment on how perfect our celebrant was. ..You truly are the best of the best and we felt like you were so much more than a celebrant (cough, cough… 5th bridesmaid). We wanted to shoot you an email and thank you for an incredible ceremony. You were so fantastic and professional leading up to, and on the day of the wedding, we felt like we hit the jackpot of celebrants! We also received many compliments about you after the ceremony! We had the most beautiful day, so thank you for being so wonderful, it truly could not have gone any better. Thank you for your love and dedication towards our big day. You are truly a master of your craft. Sally, we just wanted to express an enormous thank you for making our wedding even more magical than we could have dreamed. You were such a special part of our beautiful day and we are so grateful to you for creating a ceremony which was personal, warm, professional, serious, humorous and heartfelt all at once. We loved and embraced your suggestion of including our family and friends at the conclusion of the ceremony, which ensured that all of our guests felt involved. Our family and friends all continue to comment on how well you captured our story which was so meaningful. We could not imagine our wedding day without you, thank you for everything. We really can't thank you enough for the wonderful ceremony on Saturday. You were absolutely in control of everything, from giving the bridal party a pep talk, to making sure that DJ PhilmoreButts knew what to do and when. The ceremony was really a big hit, we have been told by everyone, both on the day and since, that they loved how personal it was and that it was all about us and that you did such an amazing job. ...We really love this photo of us during the ceremony. That is exactly how we hoped we'd feel on the day and with your expertise and guidance we did it! ...Again, thank you very much. We wish we could do it all over again! ... Thank you once again Sal, for delivering what was a truly wonderful and memorable wedding for us, and the perfect start to our married lives! Thank you again for marrying us!! You are so amazing at what you do and we were so lucky to have you as our celebrant! Everyone commented on how great and engaging the ceremony was! ...Thank you for all your help in making our day perfect. We're so happy with how everything came together! Sal, thank you so much for everything you did for us. We had such a good day and as soon as I saw you before the ceremony I felt calm and relaxed and ready to stand up in front of everyone! I think I laughed through the whole ceremony which is going to ruin a lot of the photos but I had fun and really enjoyed it. After so many months of feeling anxious and nervous about the big day I actually had such a great time. Justin said you were very sweet (and prepared) to help him with his suit after someones make up smudged over it before the ceremony (Haha) and I you were there to calm him down before the ceremony as he was very nervous! …Thank you again for everything you did for us. We are so lucky to have had you conduct our ceremony and you really made it a special day. We got so many compliments about you and how you ran the ceremony.